Choosing a VPS (Virtual Private Server) for your forex trading is not easy. That is the reason we have written this article. Although our Forex Robots do not need a VPS for their normal functioning, there may be users who do not have their own computers or are unable to keep them running all the time. In such situations, a VPS is required. After several requests for a Forex VPS, we decided to write this article. We hope it helps. What is a Forex VPS (Virtual Private Server)? A VPS (Virtual Private Server) allows the forex trader to run an expert advisor (forex robot) round the clock (24/7). It is a virtual computer which allows the user to connect to it and use it as a regular home computer. The VPS is always online with a very stable power supply and fast internet connection with the brokers. With a VPS, you do not have to worry about having your home computer running all the time. Most VPS providers do not reboot during the trading week; hence, there is no worry about service disruption. 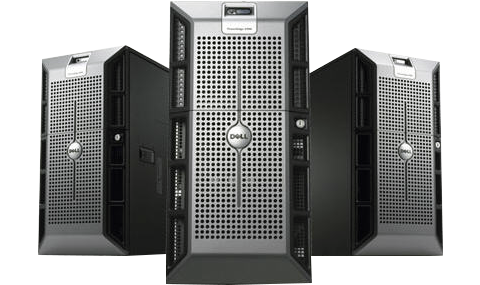 If you would like your EA to run continuously without any interruption, then Forex VPS hosting is what you need. Generally speaking, there are several advantages of running forex robots (EAs) on a virtual private server. With a VPS, you have the safety of having everything in a remote, secure place with guaranteed uptime. You can access the VPS at any time and any place. If your home computer has an issue, you can access the VPS from another computer or mobile device with no downtime, no loss of data and without any need of a backup. Even if you are having internet issues at home, the VPS is still connected to your broker and your EAs (expert advisors) are still running. This is most important especially if you are running automated trading forex robots (expert advisors). Accessible from anywhere and any device. Easy to use as home computer. Low latency with forex brokers. Stable power supply, works 24/7 without interruptions. You can run more than one MT4 terminal. As a company which develops forex robots, we are obligated to find, test and recommend the best VPS provider to our users. We tested many and found one that meets all our expectations. This provider is TradingFxVPS, and it specializes in forex VPS services. Click here to visit TradingFxVPS website! Indicated above are the various VPS plans offered by TradingFxVPS. If you are unclear as to which plan is best for you, please contact us. We will be happy to help you. Not sure whether you need a VPS? You have an EA (expert advisor) you wish to test on demo or run on a real money account, and you want it to trade all day without interruptions. You have multiple trading accounts with more than one forex broker, and you trade from different places. A VPS will make them all accessible without loading your PC and without you carrying your laptop wherever you go. You have a profitable EA that needs to be online constantly. The cost of the VPS is easily covered by the EA’s profit. You need an extra fast connection between your EA (forex robot) and a broker. Some VPSs are located in the same data centers or even close to where the broker’s servers are hosted. Click here to order a VPS! The best news - a must read! Every user who orders a VPS from TradingFxVPS will be able to enter their VPS login details in a special section in the member’s area. This information will be private and will be visible only to our administrators. This way if the user needs our help, we can directly connect to the user's VPS and fix any existing problems. If the user's MT4 terminal and robots need configuration, we can do that as well. This will save a lot of time and effort for the user.